Pour over. French press. Brew duration. Water temperature. 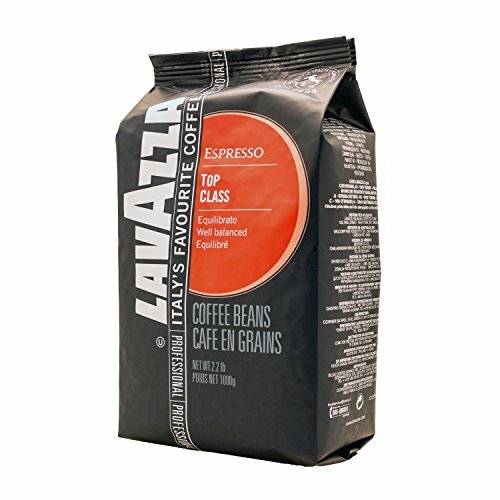 You can refine your brewing methods and techniques all you want, but at the end of the day, the coffee beans you use are going to have the biggest effect on flavor. If you’re not buying the best coffee beans possible, you’re cheating yourself out of truly delicious, high-quality coffee. But choosing the right beans is only half the battle. If you don’t store them properly, they’re going to lose all that awesome flavor before they even make it to the grinder, let alone into your cup. So before you pour good money—and what could’ve been good coffee—down the drain, learn what to look for in your coffee beans, and then what to do with them once you get them home. 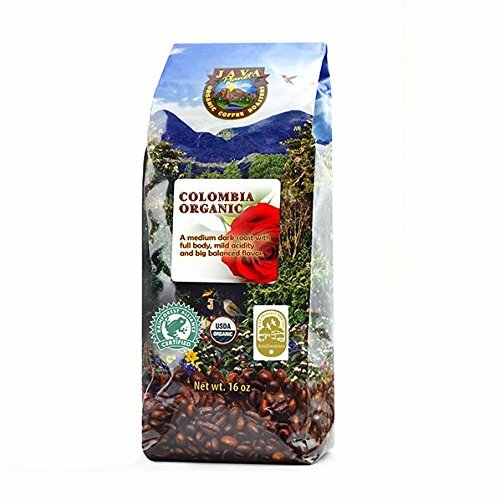 Once you know your way around a coffee label, you can easily pick up on the hints that will lead you to the best coffee beans. We can never stress this enough. Always buy whole beans. Pre-ground coffee might seem convenient, but you miss out on so much flavor to save so little time. It just isn’t worth it. Air is the enemy of flavorful, aromatic coffee. You accelerate the oxidation process once you crack the hard outer shell protecting your bean, which means the flavor is muted more quickly. The closer to brewing you grind, the fresher—and more flavorful— your cup of coffee. It might seem like coffee has an eternal shelf life, but we promise it doesn’t. 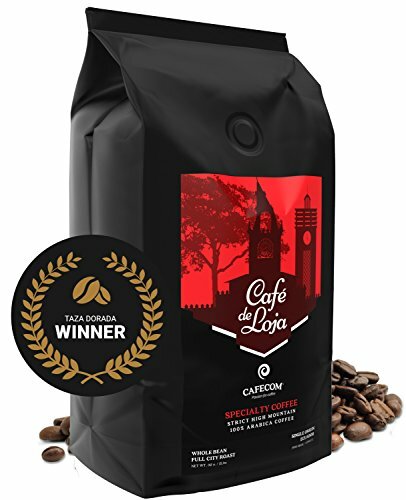 Sure, you most likely won’t get sick if you make coffee using year-old beans, but it definitely won’t taste as good as if the beans had been fresh. Once a bean leaves the roasting environment, its chemistry immediately begins to change. The bean begins to release carbon dioxide from the roasting process, a process called degassing. As the bean degasses, all those lovely oils begin to oxidize, which diminishes the flavor of your bean. 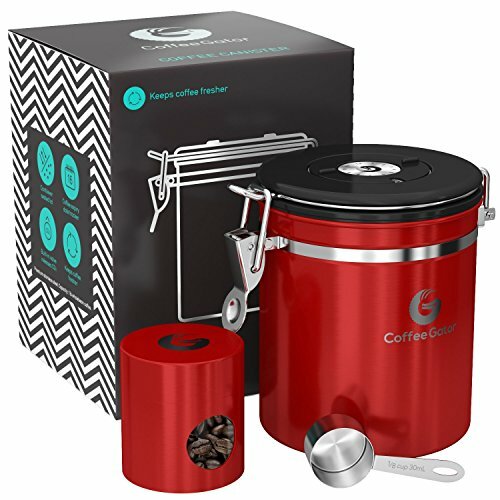 Coffee bean freshness is highly subjective, but you generally want to make your coffee between four days and two weeks from the roast date, depending on how you brew. For example, if you’re a fan of pour over coffee, beans in their first week after roasting are optimal because you’ll get a more brilliant coffee bloom closer to the roast date. But if you’re looking for a good shot of espresso, you might want to let your beans rest a little longer, around seven to nine days. After that, those older beans will be better for your next cold brew. Remember, these are just general suggestions. Experiment and go with what tastes best to you. If you’re getting your beans from a local grocer or independent coffee shop, look for who actually roasted the beans. Good roasters can make a name for themselves in the coffee community and beyond. There’s even an annual Good Food Award for the best roasters in the United States. Roasters have their own individual processes and dedication to their craft, so if the roaster is highlighted on the label, you know you’re likely getting a better bean. Altitude, soil chemistry, rainfall, and sunshine all contribute to the flavor of the final coffee bean, so the beans’ origin is an important indicator of how they’ll taste. Coffee trees thrive along the “Bean Belt,” which is the zone between 25° north and 30° south along the equator. If your bag of coffee or your barista can’t tell you where the coffee was grown, you might want to rethink your choice. More than 50 countries produce coffee, but you may want to start with some of the more famous regions, and get to know their flavor profiles before moving on to more exotic varieties. Hawaii: Named for the largest city on the Big Island, Kona coffee is the most sought-after type of Hawaiian coffee. Between intense sunlight and frequent rain showers, the coffee has a rich flavor and moderate floral aromatics. Colombia: The care and attention from thousands of small family farms contribute to consistently mild coffee with well-balanced acidity, caramel sweetness, and occasional notes of nuttiness. Brazil: Thanks to the vast countryside with a variety of altitudes, Brazilian coffee has a wider palette of flavors. Most often they’re associated with peanut and a heavy body, which is perfect for espresso. It’s also the kind of coffee that tends to linger in your mouth—but in a good way. Ethiopia: Home of the apocryphal story about the discovery of coffee, Ethiopia offers massive coffee biodiversity. Between the wild and uncatalogued varieties of coffee and the different processing methods, you can expect more fruity, heavy, wine-like coffees alongside floral, tea-like brews. Kenya: Most of the coffee is grown without shade and processed using a fermentation soak. This gives Kenyan coffees savory-sweet flavors like tomato and black currant that may sometimes pucker your lips. Indonesia: If you’re wondering why we brought up Indonesia, does Sumatran coffee ring a bell? How about Java? The country is known for these varieties, as well as aged coffees that have a deeper body and lower acidity. Between wildly different climates and processing techniques, exploring coffee flavors by region can be a huge treat. Even if you already have a favorite or two, we recommend branching out occasionally to discover something new. In the world of food labeling, Fair Trade is an amorphous description that means … well, it depends on whom you ask. You’ve probably seen a variety of competing fair trade labels on packages of coffee and other products. If this is an important consideration for you, it’s a good idea to familiarize yourself with some of the better-known labels and what they mean. Fairtrade International is on a mission to promote fairer trade conditions for disadvantaged producers to help improve their economic conditions. Essentially, they believe the world’s poorest producers can have sustainable development if trade is transparent and better organized. They have a third-party inspection organization, FLO-CERT, which regularly audits products with the Fairtrade International label. Fair Trade Certified, formerly TransFair and formerly formerly a member of Fairtrade International, this is a nonprofit organization based in the United States. They partnered with Fairtrade until 2011, when both groups stated that while they share common beliefs, they had different perspectives on how to best achieve their goals. Fair Trade Certified is open to producers of all income levels, rather than just the poorest of the poor. Their mission is to promote development and empower communities through a sustainable and socially conscious trade model that benefits everyone involved, from the farmer to the consumer. Fair for Life certifications are not specific to the product. This third-party nonprofit certifies every step of the production, as well as entire companies. Their mission is to create “ethical, fair, and respectful partnerships” between producers, workers, employers, sellers, and buyers. The Fair Trade Federation (FTF) and the World Fair Trade Organization (WTFO) hold their member companies to rigorous fair trade standards. The FTF has nine principles their members must follow, while WFTO has ten. Whether or not a fair trade certification equates to the best coffee beans is debatable. What a fair trade label does do is assure you that the coffee growers, their workers, and the environment weren’t stiffed in the process. We recommend you research major fair trade labels to figure out which organization or certification best matches your values. Once you know which organizations you trust, it’ll make it easier to find the fair trade coffee that’s right for you. The growers actively manage their land to restore, maintain, and enhance local biodiversity. The growers work to integrate their farm into the local environment without disrupting the balance of natural ecological systems. The growers use methods to minimize pollution in the air, water, and soil. The growers do not use most conventional pesticides, bioengineering, ionizing radiation, or fertilizers made with synthetic ingredients or sewage sludge. The growers rely on traditional methods, such as crop rotations and biological controls, to manage weeds, pests, and soil health. The main focus of the USDA organic label is to ensure farmers are doing everything they can to maintain local biodiversity and soil health without turning to conventional chemicals. That does not mean all organic products are chemical free, though the list of chemicals approved for use in organic farming is short. If you’re interested in supporting sustainable farming practices, USDA organic is the way to go. We’ll leave it up to you as to whether or not it means you’re getting the best coffee beans. 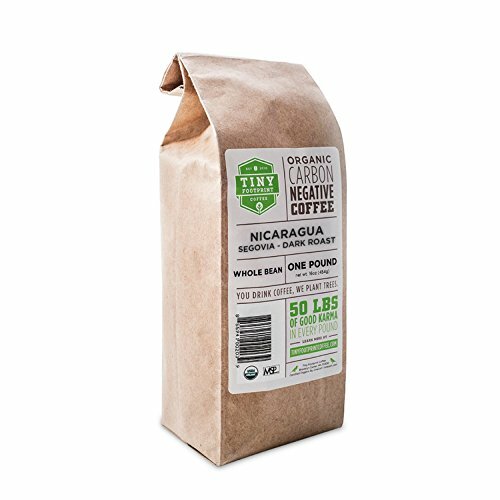 If your coffee beans label is missing any of the positive features you’re looking for, you may want to proceed with caution. But you’re not out of the woods yet. You’ll also want to be on the lookout for certain red flags. Is the coffee you’re looking at already ground? It is? That’s great—don’t buy it. If you’re buying from a roaster, and they only sell their beans pre-ground, we suggest you leave. Fast. Don’t have anything to grind your coffee at home? Well, it’s time to remedy that. You’ll find no shortage of coffee grinders out there, both automatic and manual. Find one that suits your preferred brewing method, your personality, and your kitchen decor, and you’ll be set. If the package specifies that it’s 100% pure coffee, we would be concerned why the roaster felt the need to call it out. What else would it be? And just what on earth is pure coffee anyway? If it’s a trustworthy source, a 100% pure coffee label won’t be needed. So just keep that in mind. If a roaster cares about the freshness of their coffee, they’ll properly store their beans in airtight containers or one-way valve bags away from direct sunlight. When you stumble on a store with walls lined with clear plastic bins displaying a variety of beans, turn right around and leave. Scoop it yourself? No, scoot yourself right out the door. Buying in bulk might be a money-saving strategy, but it will not get you the best cup of coffee. If your roaster will only sell large quantities, don’t give in. Think about buying coffee like buying a fresh loaf of bread. You might get it once a week or every other week as you need it. If you buy too much at one time, you run the risk of subjecting yourself to stale coffee, or worse, wasting it altogether. Coffee you find at the grocery store is much more likely to have a use-by date rather than a roast date. If you’re looking for fresh coffee, a use-by date is basically useless. The use-by date is often a year beyond the roast date, so the most it can tell you is not to buy that coffee. Your first step is to skip the trip to your regular grocer—unless that grocer is unique to your area or has a good deal with a local roaster. 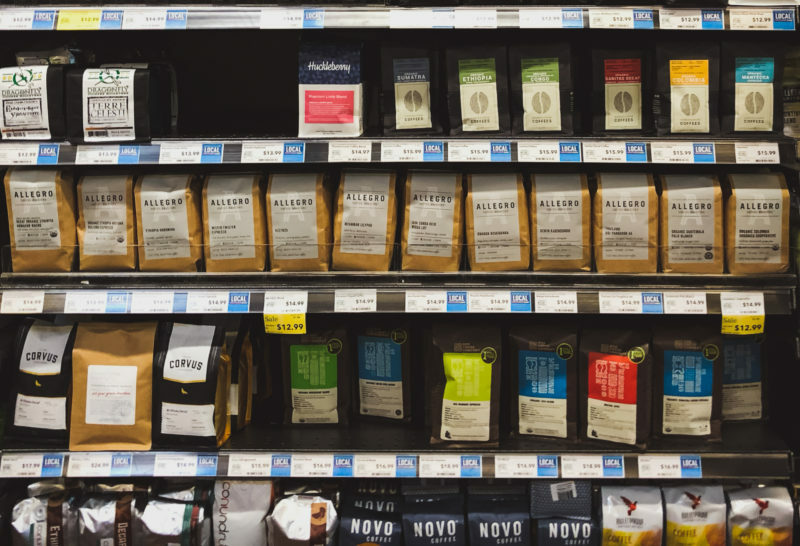 You can buy coffee at a grocery store in a pinch, but you’ll likely miss out on more in-depth flavors and fresher beans. When on your search for the best coffee beans, the best place to start is a small, independent coffee shop. If they don’t sell coffee themselves, they might be able to point you to a local roaster you can investigate later. Specialty grocers—especially ones who are focused on local sources or high-quality imports—may also lead to some delicious coffee beans. If you get the chance, buying directly from the roaster is our favorite option. You cut out the middleman, which means more money goes directly to the roaster to help them stay in business, and keep you stocked with fresh coffee beans. To get the freshest beans, ask them about their roasting schedule, and make plans to be there when the next fresh batch goes on sale. The best part? You can usually find someone who genuinely cares about the coffee beans and can give you great recommendations as you explore new flavors and styles. If you’re not lucky enough to live close to a great coffee roaster, there’s always the magic of online shopping. You can even find that deliver new roasts right to your door every month, every other week, or even once a week. Many roasters also roast and ship to order. 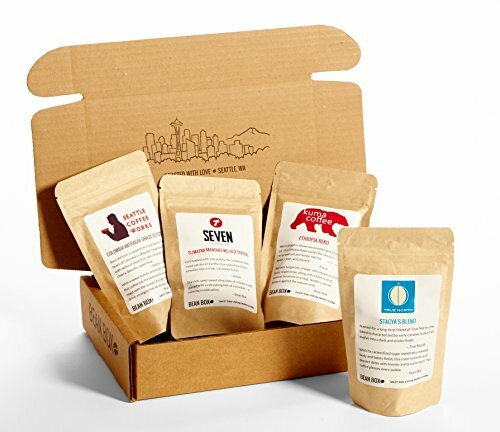 So if there’s a particular roaster you’ve had your eye on, check out their website or call them directly to see whether they deliver in your area. Now you know how to read a label and ferret out the best local coffee supplier. But what type of coffee beans should you actually get? The flavor of your coffee all comes down to the variety of bean, and you only need to care about two of them: arabica and robusta. When it comes to a good cup of coffee, arabica, or Coffea arabica, is king. More than 60% of global coffee consumption is of arabica coffee. It’s preferred for its fruity, sweeter taste as well as higher acidity. With less flavor and chemical complexity than the arabica coffee bean, robusta, or Coffea canephora trades flavor for easier maintenance as a plant. This usually means less expensive coffee for you. The canephora plant grows well in low-altitude environments and is naturally pest resistant. It also has a much higher caffeine content than arabica coffee. There is no industry standard for roasting coffee beans, but generally, roasts fall into one of the following categories: light, medium, medium-dark, and dark roasts. Light roasts are lighter brown (hence the name) and are roasted for a shorter duration. They’re generally the most caffeinated of all roast types. Common names include light city, half city, and cinnamon. 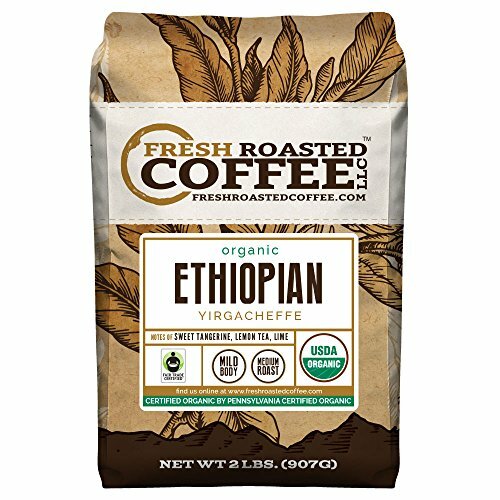 Medium roasts are an American favorite, which is why you’ll sometimes see American coffee on labels even when the bean is clearly from Kenya. The beans have a medium-brown hue, stronger flavor, and a non-oily surface. Other medium roast terms include breakfast and city. Medium-dark roasts have a richer, darker color, as well as a little oil on the surface. This gives you a bittersweet aftertaste that isn’t too overpowering. Full city is a popular medium dark roast. Dark roasts are those shiny black beans that look great on camera. They have a shimmering, oily surface and are bitter when brewed. The beans run from shades of dark brown to charred. The common names for the roast are often used interchangeably. You might know these dark roasts as high, continental, European, Viennese, Italian, French, or New Orleans roasts. How Much Coffee Should You Buy? You already know it’s not a good idea to buy coffee in bulk unless you run a coffee shop or a restaurant. But you also don’t want to run out of coffee mid-week when you’re trying to get out the door and made that meeting you don’t want to sleep through. To know how much coffee to buy, you first have to know how much coffee you drink. We measure our coffee addictions in cups per day, not ounces of coffee beans. But it’s good to know roughly how much coffee you go through in the average week. Once you find your baseline, you can avoid both overbuying coffee and letting those carefully selected beans lose their freshness, or not buying enough and encountering a morning tragedy. We recommend roughly 30 grams (about one ounce) of coffee beans per twelve ounces of water (two cups; and that’s coffee cups, not measuring cups). So if you drink ten cups of coffee a week, you’ll need to get about 150 grams (around five ounces) of coffee beans. The best part about great coffee is there’s so much of it! It’s always nice to have a go-to roaster and bean, but part of being a true coffee connoisseur is always being on the hunt for something new. This is especially true if you buy directly from your roaster. Use their knowledge. Try new flavors. Step out of your coffee comfort zone. You might not absolutely love every cup, but we’re willing to bet you’ll find new favorites along the way. You’ve Bought the Best Coffee Beans. Now What? Whether you ordered them online or picked them up at the store, you now have that precious bag of delicious-smelling coffee beans. It’s time for the most crucial part of preserving the freshness of your coffee: storage. If your coffee beans come in a sealed, one-way valve, foil bag with a pinhole, you can probably ignore this advice. Those bags generally keep your coffee fresh for one to two weeks, which should give you plenty of time to enjoy your coffee. coffee canister as soon as you get home. Note: Don’t tighten the lid if you have freshly roasted beans. They’ll be releasing carbon dioxide, and you don’t want to warp or burst your container with gas buildup. Treat your coffee beans like a bottle of expensive wine. Wine hates light. So does coffee. We’re not suggesting you build a coffee cellar (though wouldn’t that be amazing?! ), but we do think wine storage is a perfect parallel to coffee storage. You want to give it a cool, dry, and dark environment. A pantry or cabinet as far away from your stove as possible is the best place to store your coffee. The cabinet closest to your coffee setup might seem like the best place, but you want to make sure your beans are far away from any humidity that occurs when you boil water for your brew or have a pasta night. You may have heard this bit of advice: put your coffee beans in the fridge or freezer to help them stay fresh longer. Don’t do this. It doesn’t work. In fact, not only does it not maintain the beans’ freshness, it can even ruin their flavor. absorbing aromatics during the roasting process. That’s also what would make your coffee taste like chopped onions or whatever other pungent food you might have in your refrigerator. are not immune to freezer burn. Phew. That’s a lot to take in. But you are now officially a champion of coffee labels, and you know exactly how to buy the best coffee beans, and then store them properly. So get out there and find a new amazing variety of coffee beans to try, and keep striving for the best cup of coffee you can make.